Too many fish are pulled out of the sea every day. With highly efficient fishing methods the oceans are literally grazed. In addition, it is often difficult to understand which fish really lands on our plate. The use of blockchain technology in conjunction with IoT sensors could at least improve the situation. For thousands of years people have been fishing in the seas of the world. But it was only as long, until the industrial progress of the 20th century high-tech ships began their triumphant advance. With them suddenly unexpected masses of marine animals could be fished out of the water. Until the 1990s, the catch numbers increased continuously. Since then, the fishing industry has been harvesting about 80 to 90 million tons of land each year. The industry currently generates more than 200 billion euros worldwide every year. The mass of fish caught could continue to increase as demand increases: by 2030, a global increase in fish consumption of 18 percent is expected. 201 million tonnes of wild and aquaculture fish and seafood will then come to the table. In the oceans huge haulers the size of ocean steamers and oil tankers for the fishing industry are used. The most efficient of them, like the super trawlers Margiris or Atlantic Dawn, can capture up to 200 tons of fish per day. Most industrial fishermen use the often criticized trawls. These funnels, which are up to 1.5 kilometers long, plow over the ocean floor in many places, destroying entire ecosystems, such as coral reefs. Trawls also do not distinguish between target fish shoals and endangered species such as whales and dolphins. They end up as bycatch. The fact that our supermarket refrigerated counters are still well-filled, despite falling fish numbers in the oceans, is due to the fact that the fishing fleets are constantly expanding and moving into new, not yet exhausted areas. It is estimated that more than 90 percent of commercially used fish stocks are overfished worldwide or reach their biological limits. Overfished populations often do not have time to recover as the fish are caught before they reach sexual maturity. Where the upper reaches of the water are exhausted, the fishing companies go into the deep sea. Here, species that we know very little about, such as lanternfish, are brought to be processed into animal feed or fish oil. To avoid overfishing and to regulate the fishing industry, states issue quotas. Within Europe, the EU sets these quotas and distributes them to each country. The regulations also determine which fishing methods are used and when and in which areas fishing is allowed. For political reasons, however, these quotas are often set too generous from the point of view of environmentalists. But no matter what the odds are, many fishing companies are not stopping them. The tractors exchange cargoes with each other, on containers wrong labels are attached. Who should keep track of which fish where, when and by whom exactly from the sea were drawn? The incomplete control mechanisms are not only noticeable in the ocean habitat, but also on our dining table. Identifying fish according to sustainable criteria is difficult or impossible as a consumer. Although there are some seals of approval for sustainable fisheries, they have not solved the problem comprehensively. A study by the NGO Oceana, examined the DNA of 280 samples from restaurants and canteens in Brussels. Nearly a third of the fish dishes had another animal on the plate than indicated on the menu. 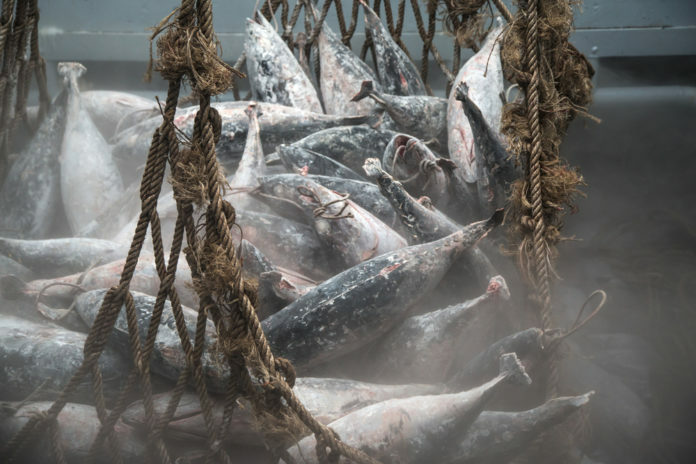 It is not uncommon for cheap tropical tuna species to be singled out as popular Atlantic tuna, or for pangasius and saithe to be sold as expensive cod. Who should understand, whether the fish were fished sustainably or come from protected areas outside the fishing season? Blockchain technology promises decentralized databases that are unfeasible, transparent and trustworthy. Can this be a help against the overfishing of the oceans? Several projects are currently involved in reliably recording supply chains from the safety net to the dining table. So all involved parties should be able to check at any time, from where the sea animals come, which species it is, who caught them and who sold them, and which way they have come. When using a block chain in logistics, a product, in this case a cargo of fish, receives a unique identification number. This ID is re-signed in the course of the data chain at each station and provided with a timestamp, ie a time recording, and other relevant information. 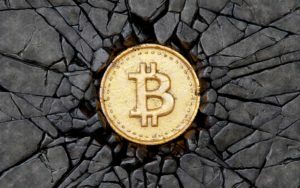 Once saved, the data within the blockchain can no longer be subsequently changed. For example, fishermen, suppliers, cold storage workers, logistics companies and fishmongers are gradually tagging the cargo until a portion of the fish reaches the end consumer. This can then in the ideal case, such as a printed QR code, easily retrieve all information about his meal with his smartphone. Of course, people can still cheat on the labeling of goods within the supply chain with digital blockchain accounting. But there are ways in which one can at least counteract this. One of these is Reputation Points, also known as Confidence Score. The more all criteria fulfilling products someone signs, the more his reputation in the chain grows. If he is caught cheating, the other participants can punish him with point deduction. Thus, the confidence of Blockchain can be maintained without central control. Launched by the Linux Foundation, Hyperledger‘s open source blockchain project, Sawtooth, has developed a platform that provides decentralized architecture across multiple types of supply chains. To create more confidence in the fishing industry, Sawtooth uses Internet of Things sensors in various parts of the chain. The digital check already starts in the safety net itself. The sensor there records via GPS where exactly the net pulls its tracks and how heavy each individual load is. On the tug, the sailors sign the containers with the species name. In the containers themselves, several sensors are mounted, which can register values ​​such as temperature, humidity and tilting movements or shocks and write in the blockchain. So, when the cargo goes off-board, it’s already provided with a lot of information. So it goes on until the fish has landed at the end user. The latter then has full access to the transport data in the blockchain, including a map to indicate the uninterrupted delivery route from the sea to the dining table. In addition, Sawtooth allows anyone to change ownership by using Ethereum-based Smart Contracts on the blockchain. Hyperledgers Sawtooth is open source and designed for a variety of applications where trust and security play a role. The system has already been used in a case study on coffee plantations. In addition to Hyperledger, other companies and environmental organizations are working on blockchain solutions for the fishing industry. This year, a collaboration between the World Wildlife Fund and the blockchain company ConsenSys and sustainable fishing companies began to help regulate tuna fishing in the South Pacific. The “From Bait to Plate” project is to help with the Viant platform to exclude illegal fish traders from the trade. Freshly caught tuna fish receive an RFID chip, which is linked to location data. Anyone can accurately trace the path of the fish through the Ethereum Blockchain. The system should be easy to modify for supply chains of different goods and goods. A similar project has launched the start-up Provenance. In a pilot project, they demonstrated how the way of a tuna can be proven by a sustainable fisherman in Indonesia using smart tagging and blockchain. The ocean, vast as it may be, is a living cycle that collapses when taken from it and nothing returned. The industry must give exhausted fishing areas the opportunity to regenerate. That would not only benefit the seas, but also the economy. Uncontrolled mass capture on the oceans is a challenge that has only been partially addressed by quotas or the actions of a few states and individual NGOs. The control of the Blockchain is decentralized and transparent. Should it be realized on a large scale and be really convenient and manageable for the end user, it could at least improve the situation. But the beginning of logistics blockchains in particular is difficult because it requires a large number of actors who have to agree on a common system and have to start up the principle of shared trust. The different approaches with the Blockchain are definitely promising.